Our new key copying kiosks are faster, more accurate, and more autonomous than ever before, can support thousands of new key types, and have several exciting new features, including some firsts in the kiosk space. On the digital imaging side, as our original key duplication kiosks aged and spent more and more time in the retail environment, we identified a number of hardware constraints that were limiting our camera’s ability to identify certain keys, primarily due to accumulated dirt, which often required human intervention to fix. As a result, in this new generation of kiosks, we swapped out this hardware with new “smart” parts, that can detect and subsequently ignore extraneous material, and can even self-calibrate themselves without the need for human involvement. We have also improved the ability of the robotics to do “self-inspection” by using cameras that can move inside the machine. Each machine can now track the full-cycle progress of a key as it interfaces with our hardware and robotics and eventually drops into the customer’s hand. On the Artificial Intelligence side, we have switched from using shallow neural networks – where the AI is trained using simple mathematical units that collectively learn complex functions – to using deep neural networks (deep nets), the same technology used by Facebook, Amazon and Google to train their AI. Deep nets have revolutionized the way machines learn. At KeyMe, deep nets helped us fundamentally transform the way the world copies keys. 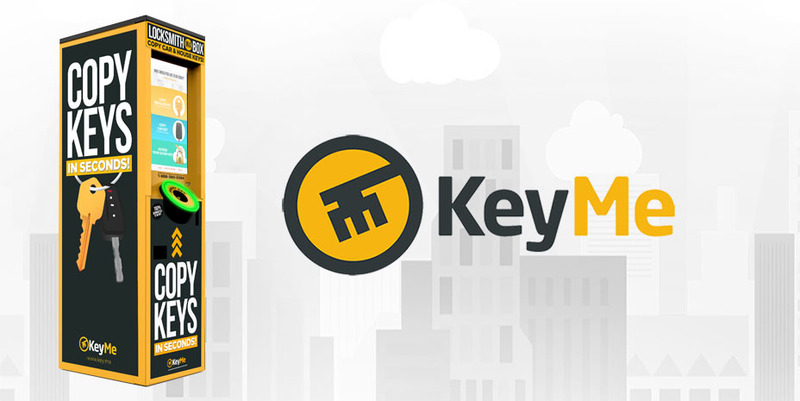 While a traditional locksmith crudely trace-cuts a key by sight, KeyMe kiosks can recall hundreds of thousands of scans that came before and call upon these examples to quickly and accurately identify a wider range of keys – even unique keys that most locksmiths can’t copy. 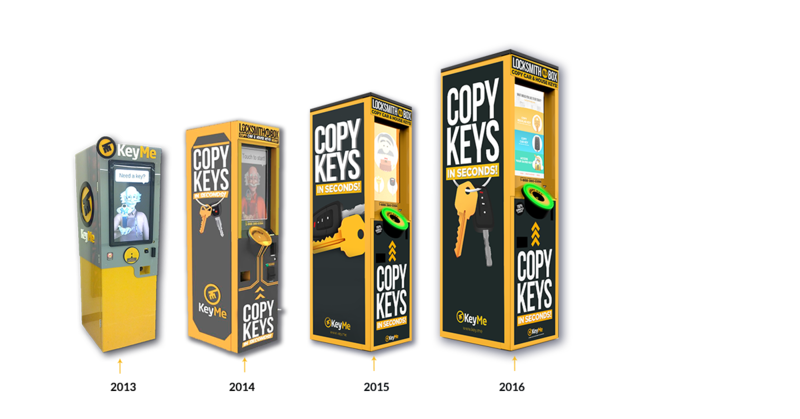 Because the machines learn as they go, KeyMe kiosks cut keys to an extremely high degree of accuracy while ignoring inconsistencies created by worn or twisted keys. On the robotics and hardware side, our new generation of key copying kiosks take the strong mechanical design of our past kiosks and extends them with multiple new sensing technologies. Each key is measured and checked multiple times throughout the cutting process to ensure that each step completes properly. After cutting, each key is measured for cut accuracy before being given to the customer. This allows us to not only catch any keys not cut to our exacting specifications and re-cut them before giving them to customers, but also allows for the kiosk to monitor its performance over time and continually re-adjust for optimal performance, as well as autonomously set itself up and start cutting keys without human involvement. Alternative Vehicle Support: Our older kiosks were limited in the types of vehicles they could support to cars, some trucks and motorcycles. Our new kiosks can replicate keys for all kinds of vehicles, including recreational vehicles (e.g., ATV’s, RV’s, Scooters) Watercraft (power and sail boats, jetskis) and commercial vehicles (semi’s, construction) – and even farming equipment like tractors and combines. Want to check out all the latest technology features on our next-generation key duplication kiosk? Find your kiosk today! How Will the Touchscreen Evolve in 2017?